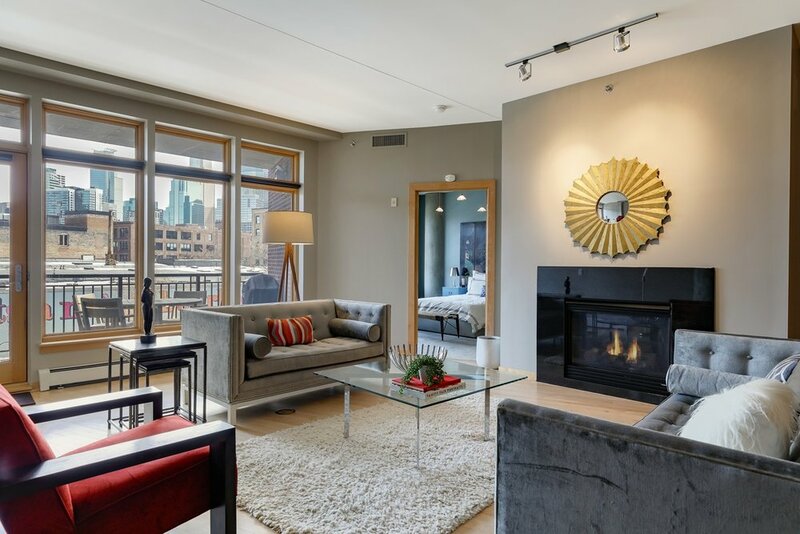 Pristine Rock Island condo with downtown views, gorgeous hardwood floors, & updated lighting. Featuring a private master suite, as well as full bathroom and walk-in closet in second bedroom. Enjoy the media room along with the open space for all your entertaining needs. Wonderful North Loop neighborhood - close to all the restaurants, shopping, and river.